Patty Gray leads Westcon-Comstor's global vendor business management organization, bringing more than 30 years of IT distribution experience to the position. Since joining the company in 2010, she has helped expand its global footprint to more than 70 countries. Patty focuses on developing new business for solution providers from Westcon-Comstor's top global vendor partnerships and from manufacturers looking to establish their channel presence. 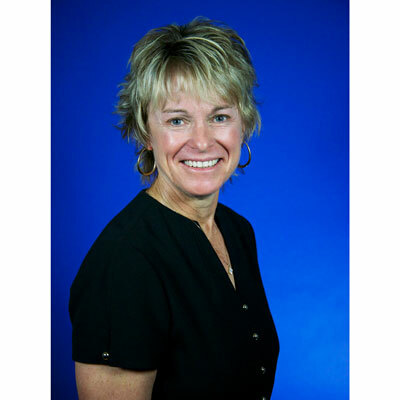 She has also consistently helped identify and bring on board new, cutting-edge technologies that create complementary solutions that most effectively support Westcon-Comstor's solution provider customers. One very successful initiative in that regard has been the Accelerate program, which serves as a framework for introducing new vendors to solution providers through a channel incubation strategy. Patty's team helps vendors establish their go-to-market channel programs and dramatically scale their businesses. The first six vendors in the program experienced a 150 percent CAGR increase after joining, giving solution providers additional high-growth, high-margin opportunities to talk about with their customers. Patty previously spent 23 years at Avnet, expanding that company's portfolio of software, storage and networking solutions. She also led Avnet's European Global Customer organization from 1998-2000. Two significant changes this year helped us continue the transformation of our channel business. Our new Vendor Executive Advisory Council created unprecedented opportunity to more rapidly receive and collaboratively respond to key challenges facing our mutual customers. This allowed us to develop strategies that better serve the channel in areas like business intelligence and how ecosystems and alliances can be leveraged. We are now better positioned for growth and advising partners on the innovative solutions they need to bring to customers. It's not just about creating go-to-market programs, it's about solving problems that global channel executives face. Second, I was the project lead on our vendor global integration initiative with SYNNEX. Although our business is split right now, with North America and Latin America under SYNNEX and EMEA and APAC under Weston International, we present as two companies going to market as one brand. It is particularly important to our vendors that we have one global go-to-market program. Having the new business continue to run seamlessly to vendors and solution providers was a challenge, but the integration term has done a tremendous job. Our vendors have seen no hiccups to service and everything is running smoothly. My goal is to take the key challenges that we identified at the Vendor Executive Advisory Council meeting (including partner recruitment, channel evolutions and using business intelligence to drive better business) and create project plans that we can implement to get tangible results. Working together, we are striving to create the programs and solutions that our VARs need to drive growth for everyone. Vendors are realizing that you can't solve a business need with a point product and they're counting on us to develop solutions-based strategies for the market. The only "award" I've been concerned with has been completing our global vendor program integration with SYNNEX. We've done everything we needed to do with no disruption so I'm very honored to have led the team that accomplished that. We had great teams on both sides that truly helped each other for everyone to be successful. Now, going forward, we have the business ideally positioned to help our vendors serve solution providers on a global level. I admire Hillary Clinton. She's smart, a Rhodes Scholar, and stands firm for the causes that are important to her. I don't even necessarily mean politically, but for things like fighting for women's rights. She's also done a lot for numerous charities that I support as well. My advice would be to learn how to fail--and rebound--sooner, and also to have more patience. I was so impatient as a 16-year-old. Failure is a part of personal growth, a part of your journey. I used to think it was just bad, but it would have served me better early on to learn how to reframe how I failed and to have been more patient. I would like to be better at time management and work-life balance. I tend to gravitate toward the work side of life. But finding a balance makes for a healthier you and I think it makes you a better executive too. Time management is challenging, but it's also an important skill to master. "Lean In: Women, Work, and the Will to Lead" by Sheryl Sandberg. It's all about teams and collaboration and developing new ways of solving problems from a female perspective. That was important this year because of our integration into SYNNEX. For six months, we were in the middle of it all wondering how it was all going to work. Getting through that and retaining our global commitments to vendors and, in turn, solution providers, was a big deal.